Better late than never …! I went store-bought. 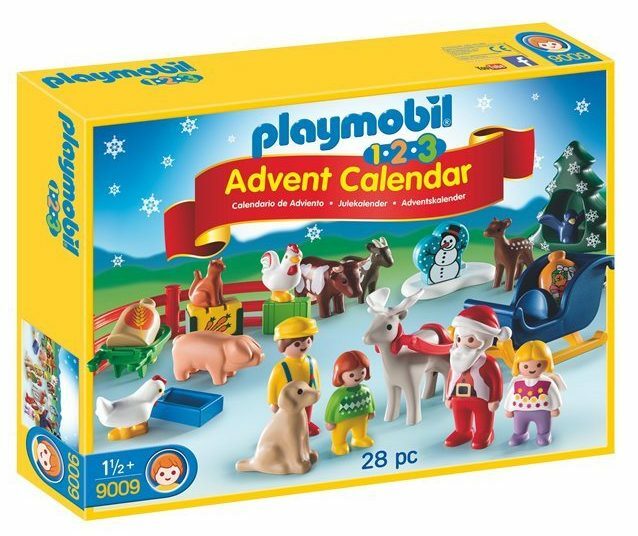 In the middle of September, I spied this gem at Chapters – Playmobil Christmas on the Farm edition. So, by the end of September, I had ordered this. E will have fun opening the compartment every day – except when we are away for 10 days during Advent. The figures are generally reusable for play throughout the year. He’s starting to create stories and his ratio of cars to people figures is like 30 to five. This should go towards fixing that. What should I do for NPY given we’d be away for 10 days? It had to be something he would want to open without us prompting… chocolate it is! 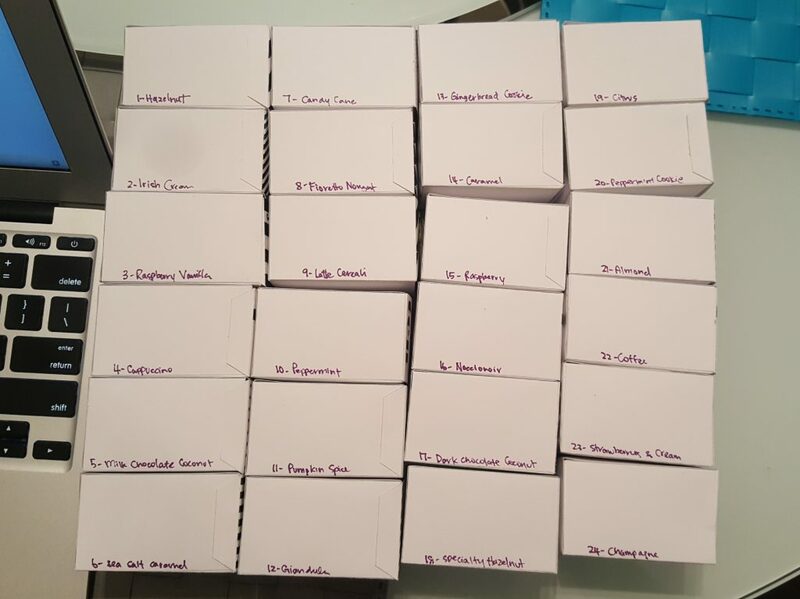 It didn’t take long to decide to make the 24 boxes myself because it was an opportunity to do some “graphic design” in Powerpoint. I rub my hands in glee at the prospect. The geometric patterns were 100% inspired by a set of patterns I saw on Pinterest. We happened to be spending some time at a shopping area with a Lindt store where I picked up 18 truffles. It was late September so Christmas flavours were not yet out. On a second trip to the Lindt store, I picked up the remaining six. The Christmas/seasonal flavours are so delectable, including gingerbread cookie, peppermint cookie, and noccionoir where the latter is similar to Ferrero Rocher but better. I also really like the Lindt coconut truffles.